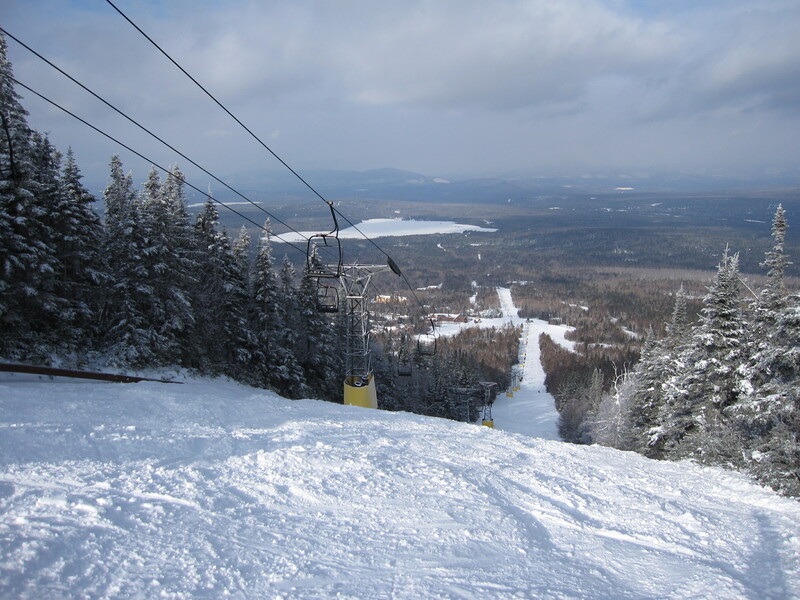 The 4,550′ Rangeley double serves most of Saddleback’s terrain and will be replaced with a new Doppelmayr quad chair following the sale of the mountain to an Australian businessman. 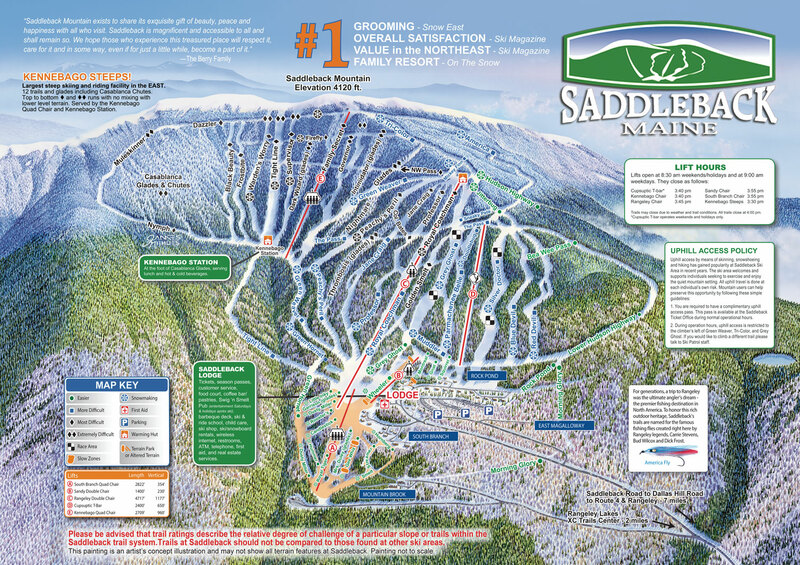 The Majella Group of Australia has agreed to purchase Maine’s Saddleback, among the largest American resorts ever to go dark, and plans to build two new lifts as soon as possible. Doppelmayr will install the lifts – a 1,500 pph Tristar fixed-grip quad to replace Rangeley, and a 1,200 pph T-Bar in place of Cupsuptic – a 1960 Hall. “The Rangeley Lift and T-Bar replacements have been carefully selected after a thorough analysis of the mountain operations,” Majella said in a press release. “We understand the importance of maintaining the serene trail experience and supreme trail conditions for which Saddleback is well known.” Both lifts are being designed to be as wind-resistant as possible. It’s been two years since the Berry family announced the possible closure of Saddleback if they could not secure financing for a new Rangeley lift. The family spent some $40 million to upgrade the Kennebago and South Branch lifts to quad chairs and build a new base lodge between 2004 and 2008, but the business kept losing money with 80,000-100,000 annual skier visits. By 2012, the Berrys put the mountain up for sale, asking $12 million. With no takers, a Kennebago loan fell through in 2015 and the Berrys decided not to open again without a new lift serving the heart of the mountain. Since 2015, sale rumors abounded and the nonprofit Saddleback Mountain Foundation attempted a crowdfunding campaign to buy the operation. The group raised less than half of the $9 million needed for the mountain and a fixed-grip quad and confirmed last night they were not the buyer. 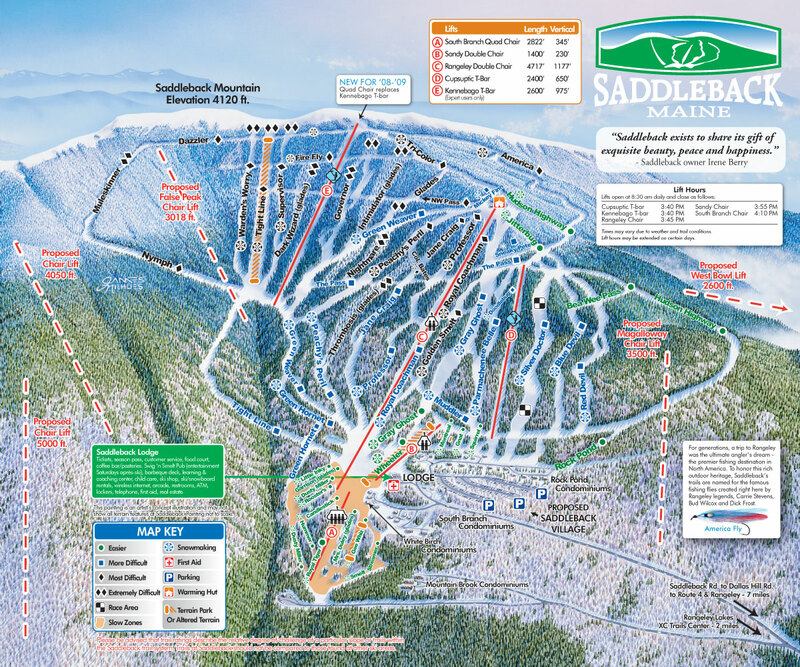 In the end, a more traditional investor emerged with plans restore Saddleback to its place as Maine’s third largest mountain with the goal of creating a premier four-season resort. “We believe Saddleback requires a plan to create more lodging, more restaurants, and additional on-mountain opportunities,” Majella CEO Sebastian Monsour said today at the mountain’s base lodge, surrounded by locals and dignitaries from across Maine. The mountain last operated April 19th, 2015. Some maintenance was performed during the closure but there is significant work to be done between now and an opening. The two modern quad chairlifts will likely be good to go with minimal maintenance while the Sandy double chair – a 1967 Hopkins – may require additional work. Majella seeks to reopen as soon as possible but did not commit to a specific time frame. “We have much work to do. As soon as our team believes we can deliver a skiing experience that is consistent with our values and meets the needs of our skiing community, we will announce our plans for reopening,” Monsour said. Doppelmayr has already surveyed the site and begun design but has a busy summer with other projects ordered earlier. The news is a boost for the Maine ski industry, which saw significant capital investment during American Skiing Co.’s ownership of Sugarloaf and Sunday River but without a whole lot since. Major lift accidents in 2010, 2015 and 2016 didn’t help. The last big new lift projects in the state were Sunday River’s Chondola and Kennebago, both opening in late 2008. Nearly ten years later, Saddleback comes back on scene with two new lifts and possibly more to come. The purchase includes a vast 6,337 acres, some of which could be opened for skiing. The Berry family’s original vision included five major lift expansions. The sale is expected to close in late summer, though an operating agreement allows Majella to begin rehiring staff and working on lifts immediately. I’m excited at the potential that they will continue to run Sandy. Not very many Hopkins left out there. A few sky rides at amusement parks, yes but not very many true ski lifts themselves.